Patrick's parents, Robert and Rosie Campbell-Preston started Inverawe Smokehouses in 1974. Over the years the Inverawe Smokery has grown into a thriving business. "Start with the best, compromise nothing and success will follow." Robert passed this advise to his son when he took over the business in 2014.It remains at the heart of everything we do. Inverawe Smokehouses is different. While the rest of the world has sped up, we prefer the more gradual pace of traditional slow smoking. This time-honoured method allows the fish to gently take up the gorgeous smoky aroma in its own unhurried time, giving the most delicious full-bodied oak-smoked flavour that is distinctively Inverawe. Situated in Argyll, on the West Coast of Scotland, and surrounded by stunning lochs and mountains, Inverawe Smokehouses offers a true taste of the Highlands. Inverawe Smokehouses is committed to reducing its environment impact. Integral to this is our salmon sourcing policy. All our salmon comes from farms which are also committed to sustainable production. The farms are located in areas with strong tidal flows in either the coastal waters off Argyll or the Shetland Isles. Our suppliers understand their place in nature and actively seek to limit their impact. The key objective is to ensure the integrity of wild fish stocks and prevent pollution. They strive to achieve the highest standards of fish welfare and have eliminated preventative use of antibiotics whilst ensuring low stocking densities which help to build stronger healthier fish. Feed comes from sustainable fishmeal sources and a low fat diet is used. 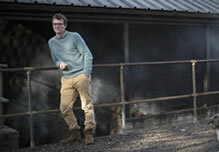 Inverawe Smokehouses' slow smoking methods are most suited to smaller, leaner, less fatty fish with a good firm texture. Only these healthy, strong, prime, farmed fresh fish give the beautiful texture and taste we are known for. Both Inverawe Smokehouses and external suppliers are audited regularly to maintain the highest levels of sustainability, welfare and environmental practices. Situated on the West Coast of Scotland, 80 miles north of Glasgow Inverawe Smokehouses offers a 'true taste of the Highlands' worldwide. 1974 - Lorne Fisheries is founded by the present shareholders and directors as a trout farm rearing trout in Loch Etive. 1979 - Lorne Fisheries starts a Put & Take fisheries on the estate, utilising the three lochans. 1980 - Lorne Fisheries diversifies and starts Inverawe Smokehouses. A new smokehouse is built to house the fish processing and smoking unit, selling direct to the catering markets. 1982 - Inverawe Smokehouses starts a Mail Order food business producing three catalogues every year. 1986-1992 - Inverawe increases its mail-order business adding new customers by attending country fairs and exhibitions. 1992-1996 - Inverawe expands its list of products available in our mail order catalogues to include other Scottish products such as sauces, preserves, cakes and fresh meat. The Hamper business is born. A tearoom is added to the shop and the smokehouse creates a viewing gallery. 1997-2000 - The new warehouse is built for despatching all finished goods. 2001 - Inverawe Smokehouses is awarded a Royal Warrant by Her Majesty the Queen. 2002-2004 - During this period the wholesale side of the business expands. 2005 - The smokery extension is built. 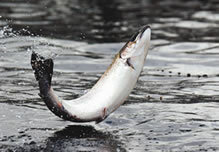 2006 - Inverawe WINS Supreme Champion at the International Food Exhibition for its Organic Smoked Salmon. 2007 - Robert is recognised for his "individual contribution" to the Food Industry in the Highlands & Islands Enterprise awards! 2008 - Inverawe launches new Webshop with a new look and user friendly interface. 2009 - Inverawe Fisheries holds its first open day and the holiday cottages are upgraded. 2014 - Patrick takes over the reigns when his Mother and Father retire from the business. 2017 - Inverawe wins top food accolade. The Golden Fork for their Smoked Loch Etive Trout. Presented by the Guild of Fine Food.